We’re thrilled to announce that wealth data software solution myprosperity is our newest integration and strategic partner. This integration represents a ‘first’ for the fintech sector, as it will allow accountants and advisors to report on and advise on both business data and personal or family wealth in the powerful Spotlight Reporting tool-set. "Spotlight Reporting is a global leader in cloud reporting and forecasting who are already used by a large number of myprosperity advisers, so a strategic partnership made perfect sense. Spotlight have been working with our API since the beginning of the year to produce beautiful wealth reports, and ultimately want to deliver wealth forecasting as well as consolidated business and personal reporting. 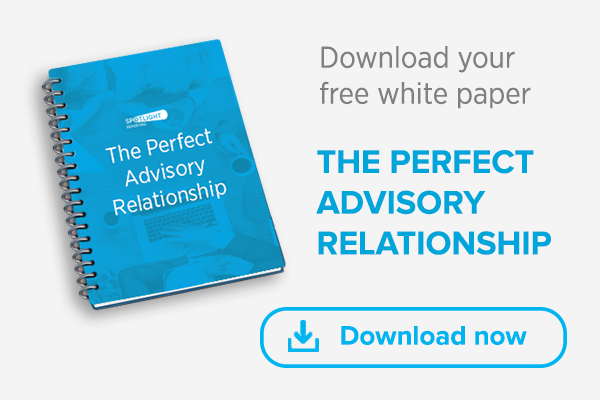 We know that business owners will love being able to seamlessly bring those two worlds together efficiently and with actionable data through their adviser." More information on the integration - currently in beta - will be available at the myprosperity Connected Innovation roadshow across Australia. Spotlight Reporting is a business intelligence software company with offices in New Zealand, USA, the UK and Australia. Spotlight Reporting provides software and expertise to Accountants, Advisors and Business Owners. Spotlight Reporting integrates with Xero, QuickBooks and MYOB and was recognised as Xero App Partner of the Year in 2015 and 2016.